UPSC Civil Service Preliminary Examination 2018 e-admit card are released on the official website. 08 May 2018: The Union Public Service Commission (UPSC) has released the e-admit cards for the Civil Services Preliminary Examination 2018. Candidates who have registered for the exam can download the same from the commission’s official website. 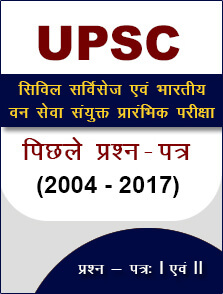 Go to the official website – http://www.upsc.gov.in/. Click on the link ‘e-Admit Card: Civil Services (Preliminary) Examination, 2018’ under the ‘What’s New’ section. You will be redirected to a new page. 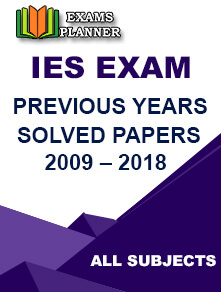 Click on ‘Click Here’ link in front of e-Admit Card. Again click on ‘Click Here’ link under ‘To Download’ column. Click ‘Print’ at the bottom of the important instructions. As per UPSC, it is mandatory for candidates to take a print out of the important instructions and read them carefully. Now click on ‘Yes’ button. You can download the e-admit card through your registration Id or Roll number. Select any one option and provide the further details. Click on ‘Submit’ button. Your admit card will appear. Check all the details carefully. Download and take a print out. Direct download link for UPSC Civil Services Examination 2018 Prelims e-Admit Card. If you find any discrepancies in the e-admit card details, inform at uscsp-upsc@nic.in. It is mandatory to carry the admit card to the examination centre in order to make entry to the examination hall. The last date to download the e-admit card is 03 June 2018. No paper admit card will be issued for the exam. Identity Proof such as Driving License, Aadhaar Card, Voter ID Card, Passport etc. Black ballpoint pen for marking answers in the OMR sheets and making an entry in the attendance sheet. UPSC CSE Prelims 2018 is scheduled to be conducted on 03 June 2018 (Sunday) in two sessions. This is the first phase of Civil Services Examination. The candidates who qualify this phase become eligible for the Main. Qualified candidates from the Main phase are selected for the Interview round. The examination is conducted for selecting officers for the Indian Administrative Service (IAS), Indian Police Service (IPS), and Indian Foreign Service (IFS).